Fill in QTY and click blank space for discount price! 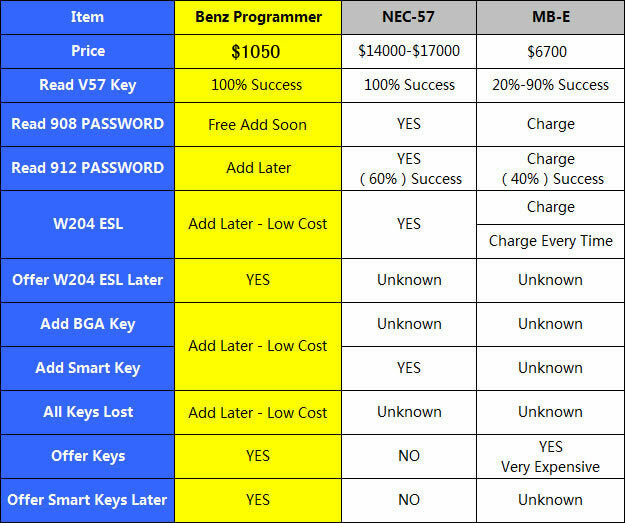 Work for Both version "BE" & "EB"FOR all Mercedes benz keys! - Directly read data from EIS via infrared (easy and convenient). Unnecessary to detach. - Support Password of reading NEC key 51, 57, Calculate new lock data under EIS help, and reborn a new key. - Equipped with EB KEY, Read, Write and erase data in myriad with convenience, Our machine is fully compatible with original key material, nothing to worry about. - Get EIS data after reading, Operate with SKC key software, and reborn the key that you want Convenience and offline mode. - Read & get Password (908, p12 MCU) via infrared from EIS. even if all keys lost, don't need to detach anywhere. Directly reborn a new key. - We will launch W204 212 electrical lock cylinder function soon. Q:your machine can add key to BENZ 2007-2010 NEC EIS? 1. connect the machine, check the hardware ,and connect IR key to the machine. 2. click ''Read Date'',put IR key into the EZS within 20 seconds. 3. click ''Save Data'' to save EZS data. (the software will prompt '' there is not PSW data ,if go on '',click "yes")and disconnect IR key from the machine. 4. connect new adampter to the mahine,and put key IC(57version) into machine,choose "New PCB". 6. click "Get"button to get PSW(the software will prompt: "Attention!After performing the procedure of reading the password key becomes disabled!Need to overwrite it!Continue? ",please choose "yes"),wait to read password. 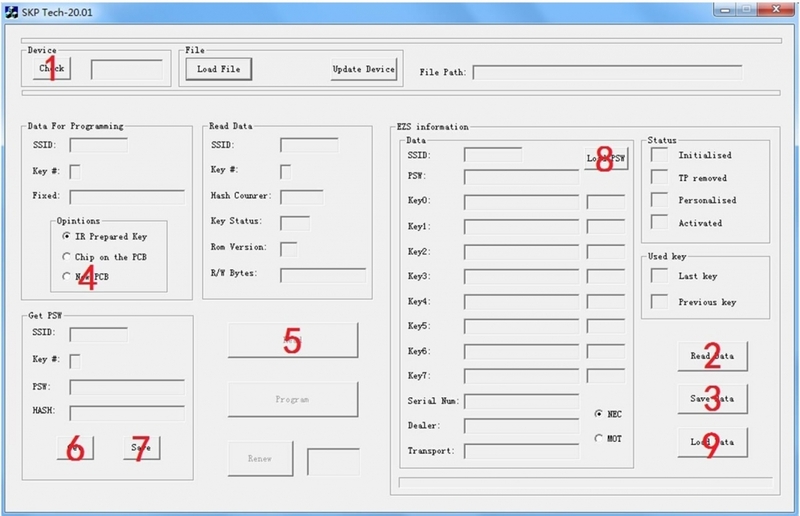 7. read "PSW",then click "save" button to save . 8. click "Load PSW" button to open the password data. 10. open "skc"calculator ,load data and calculate key. 11. I think you will know how to do next.